High levels of the stress hormone cortisol can dramatically change fat distribution in women and increase the amount of fat you hold in your belly, also called visceral fat. 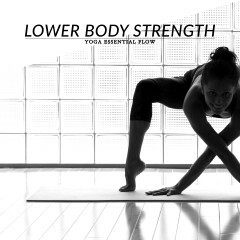 Yoga is a powerful tool you can use to help reduce your cortisol levels and lose belly fat. Add this 15-minute beginner-friendly yoga flow to your exercise routine to lower stress levels and promote the reduction of visceral fat! 1. Child’s pose: 60 seconds. Relax your spine, neck, and shoulders and feel the stretch in your hips and lower back. 5. Cobra pose: 30 seconds. Lower your body toward the floor and inhale as you lift your chest up. 6. Locust pose: 30 seconds. Straighten your arms back and lift the chest, head, arms, and legs off the floor. 7. Extended puppy pose: 60 seconds. Get down on your knees, walk your hands forward, pull your hips back toward the heels, lengthen the spine and rest your forehead on the mat. 8. Downward facing dog pose: 30 seconds. Extend your arms and legs and lift your hips as you return to downward facing dog. 9. Standing forward bend pose: 30 seconds. Exhale as you walk your hands back, draw your belly in and lengthen your torso. 10. Upward salute pose: 30 seconds. Inhale as you lift your torso, and bring your arms up and overhead. Expand the chest, look up and maintain your neck and head relaxed. Bring your palms together, lengthen the spine and stretch your shoulders and belly. 11. Tree pose: 30 seconds + 30 seconds. Transfer your weight to the right foot, bend your left knee and place the sole of your left foot against the inner right thigh. Inhale as you raise your arms above your head and press your hands together. Stay in tree pose for 30 seconds and then switch sides. 12. Upward salute pose: 30 seconds. Inhale as you place both feet on the floor and return to upward salute pose. 13. Standing forward bend pose: 30 seconds. Exhale as you bend from the hips and lengthen your torso toward the floor. 15. Shoulderstand pose: 30 seconds. Lift your legs, buttocks and back all at once, come up high on your shoulders, and support your back with your hands. 16. Plow pose: 30 seconds. Reach the toes to the floor, release the arms, squeeze the shoulder blades and interlace your fingers. Finish this yoga sequence with corpse pose and allow your body to receive the full benefits of this yoga flow. Stay in Savasana for 5 minutes. Reduce cortisol levels and Lose Belly Fat with this 15-minute Yoga Flow for Beginners!